This year, three deserving GB teams were named to the list of finalists. The first of two teams come from GBCARE, GB’s integrated team of medical professionals and trained nurses. Our first GBCARE team, The Concussion Protocol Team will contend for the managed care team of the year. This team applies early diagnosis, expedited specialist treatment, and concentrated support by trained nurses skilled in head trauma. The results this team has achieved in reducing the risk and duration of head trauma have been astounding. Injured workers in the protocol see lost time reduced from an average 29.3 weeks to 6.6 weeks. This speedy return to work helped the public sector client remain within their budgeted expenses for this injury type. Very special congratulations to Leigh Ann Foster, Lisa Nally-Adrahtas, Suzanne Pepe, Mark Lemire, and Adolf Ellis for their collaborative work on this initiative. The second GBCARE finalist in the Managed Care Team of the Year category is the Return to Work Team. Credentialed reports suggest that 80-90% of injured employees would rather return to work than collect disability. The GBCARE RTW set out to change this fact. The RTW team deploys a trained specialist in return to work techniques to orchestrate the process. This centralized figure maintains the RTW momentum, dodging obstacles and helping the employer. Certified specialists assist the employer in identifying job elements to inventory in the GB customized Virtual Job Distribution Center. The industry average return to work without a specialized intervention is in the mid 30% range. After integration of the Redesigned RTW program, preliminary program results demonstrate average return to work success exceeding 50%, with a select group of employers experiencing up to a 70% success rate. Congratulations go to Carolyn Perilli, Leigh Ann Foster, and Elizabeth Palmer for this important work. Our third finalist, in the TPA Team of the Year category, is Gallagher Bassett LegalScore. This team developed the next generation law firm performance tool, LegalScore. With LegalScore, risk managers can now evaluate relative performance of their law firms based on actual outcomes – evaluations based on a clear, detailed, consistent set of metrics across closed claims. LegalScore provides a fact-based foundation for risk managers and firms to understand and improve performance. LegalScore is the next generation of law firm performance measurement made possible by GB’s scale, measurement approach and advanced data analytics. The GB LegalScore core team consists of Scott Schafer, Chris Carucci, McRae Bell, Dan Galtieri, Cari Gesiakowski, and Joe Powell. 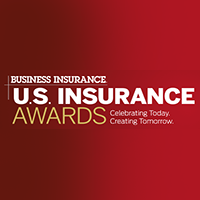 The U.S. Insurance Awards will be announced at an event in New York City on March 21st. GB will be on hand to support the event and to celebrate our teams’ success.